Happy Leap Year Extra Day! I didn’t know what food was appropriate to celebrate today but I have a fitting one for a wintry day. Since pasta as our go-to when we don’t feel like really cooking, I rarely make any other pasta dishes. 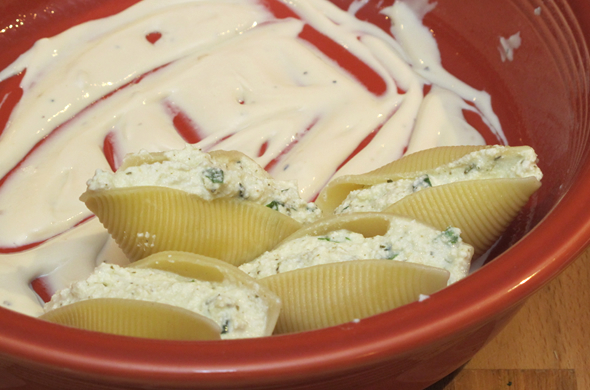 I randomly decided to make stuffed shells and it was such a hit I’ll have to make them again. These aren’t rocket science but they are a great one to double and freeze. Since there’s only 2 of us here, I made one batch and we had it for dinner and then we each took it for lunch for the rest of the week. You could always prep them the night before too. 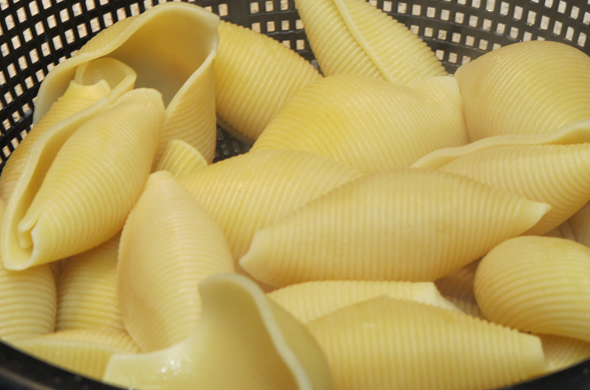 Boil shells to al dente (don’t overcook since they’ll cook a bit when baked). Spray baking pan with nonstick spray and ladle 1 cup of tomato sauce to the bottom of the dish (I started with alfredo). 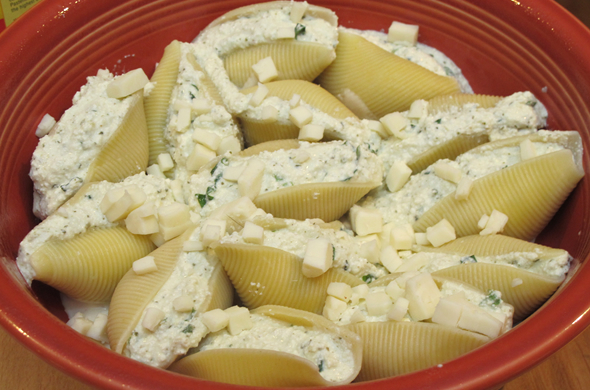 Carefully fill each shell with cheese mixture. Top with half the mozzarella and remaining tomato sauce. Bake covered for 20 minutes at 375 degrees. Add the rest of mozzarella for the last 15 minutes to bake uncovered. This was really good. I guess I should think of pasta dishes more often for planned meals. 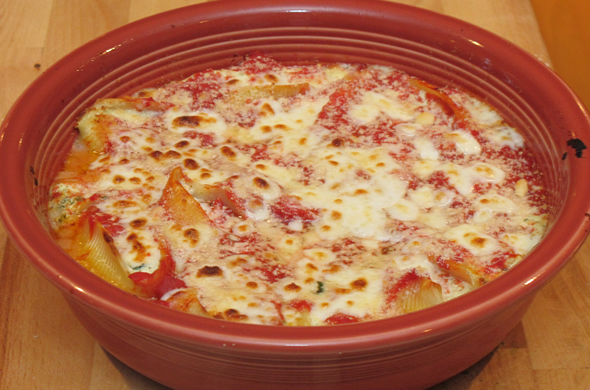 It actually made me want other baked pasta dishes. My Gram W wasn’t known for her cooking, but she made one mean baked ziti. Her only other claims to fame in the kitchen were fudge, chex mix, and pound cake. I got one of her original pound cake recipes at my wedding shower. 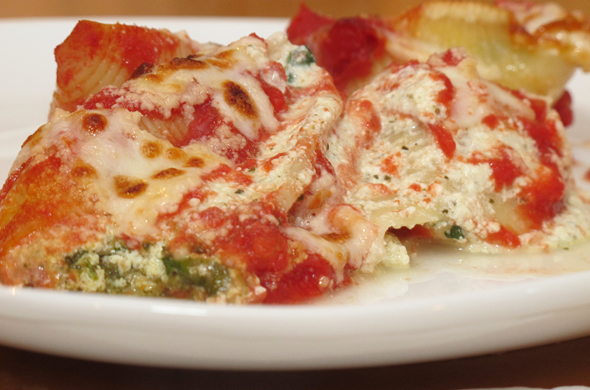 Go ahead and make some stuffed shells. 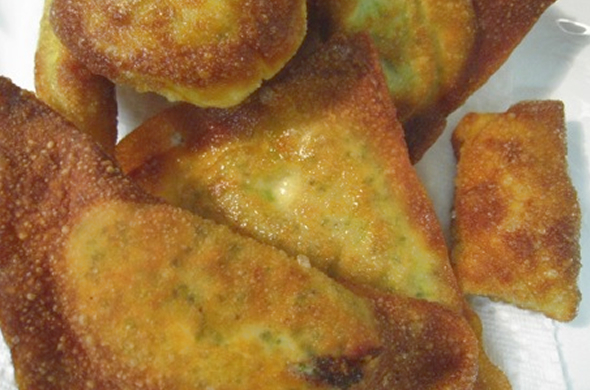 They’re a fun recipe to customize with some spinach, sausage, artichokes or whatever you want. I’m not always into really crossing food boundaries. I keep seeing taco stuffed shells with a mexican flair, but I wouldn’t go there. I also don’t mess around with low fat cheese. It’s not the same and I often would rather not even have it since it doesn’t melt the same, but that’s your call too. So, what do you say about low-fat cheese? Love it? Hate it? At my wedding shower, the guests each gave me recipes and I couldn’t have been more excited. I got some great one including one of the only things my Grandma could cook, in her own handwriting, a few from grandmothers on both of Mr. J’s sides. I broke out this chicken one with the littlest bit of hesitation. 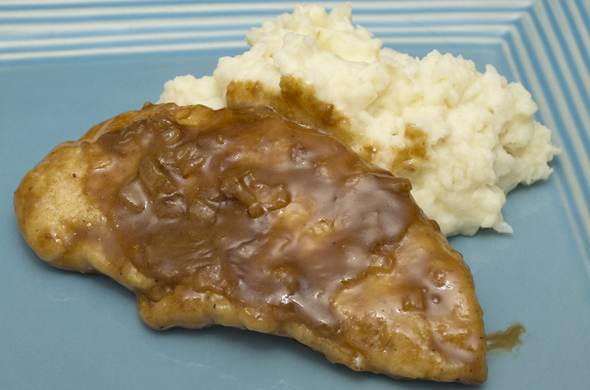 I questioned balsamic and citrus but was widely impressed with Mrs. P’s Chicken with Balsamic Citrus Sauce. Mr. J called it one of the best things I’ve made in awhile! I was a bit snap-happy so feast your eyes on this. 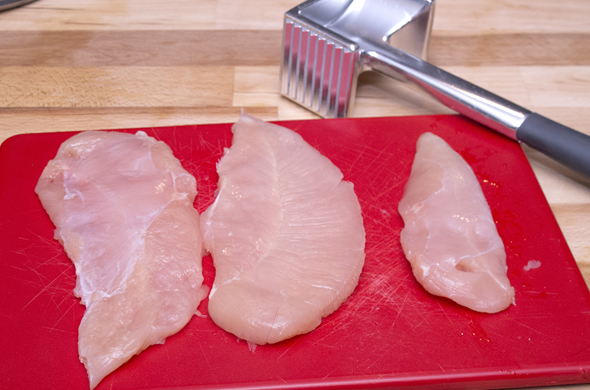 Heat a large skillet with 1 ½ tbs butter and 1 ½ tbs olive oil to medium temperature and saute chicken in batches, keeping the others warm. 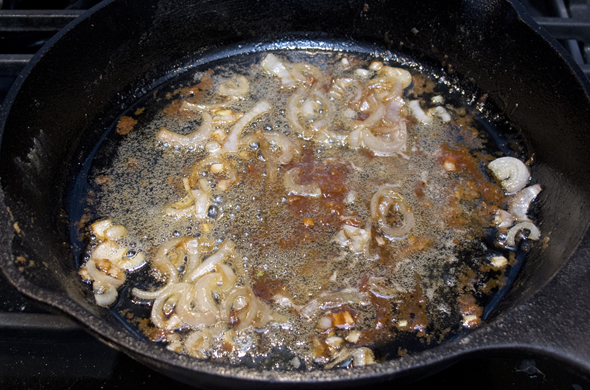 Leaving 1 tablespoon of fat in the pan, add shallots, honey cooking until shallots wilted. Increase heat to high. Add chicken stock and lemon juice. Boil until reduced to about ½ cup. 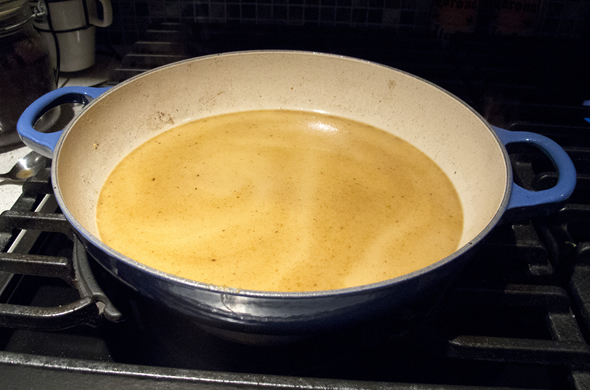 Reduce to medium temperature and add heavy cream. Cook until slightly thickened. 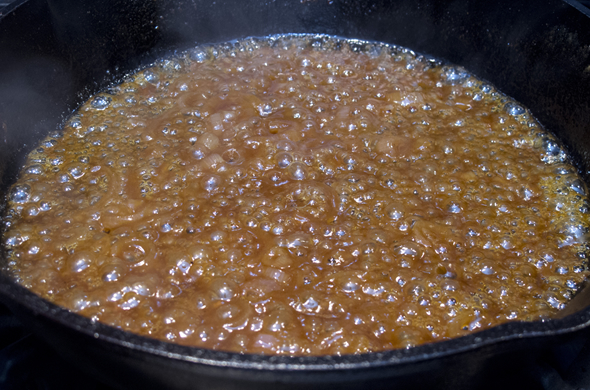 Add balsamic vinegar and return to a boil. Add chicken back in until heated through (about 1 minute). I loved the balsamic flavor since it reduced down and was creamy. The vinegar wasn’t too assertive. I had questioned the citrus in there but it was a great touch. I served it with some mashed “potatoes”. I did half potato and half cauliflower florets. I whipped them and mixed in some plain greek yogurt and butter. Mr. J didn’t suspect a thing before I told him! 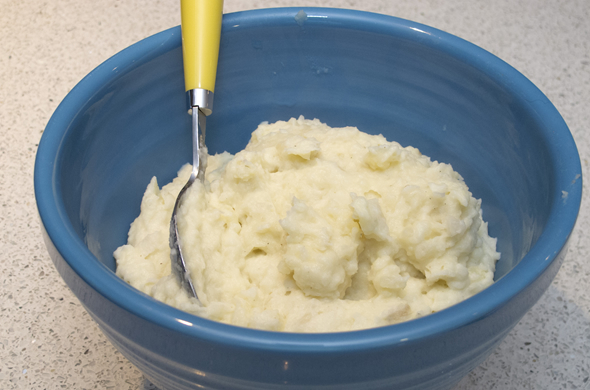 The mashed potatoes were light, fluffy, and a great accompaniment. Have you ever been asked to give a recipe to a bride-to-be? Did you think she’d actually make the recipe? I really treasure these and will have more to come! I loooove whoopie pies. I’m thankful that Mr. J comes from the state whose official treat is the whoopie pie (Maine’s official dessert is blueberry pie)! 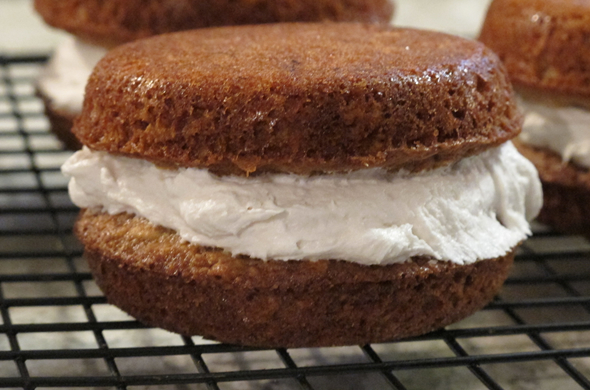 If I had my way, I wouldn’t have had a wedding cake, I would have served whoopie pies. Don’t get me wrong, I ended up loving the cake, but how yummy would that have been?! For Christmas my bro & sis in-law gave me a whoopie pie pan and cookbook. It was so perfect since on the way to the C family Christmas I said I hoped I got a whoopie pie in my stocking! I’m not a big baker but now that I have lots more space and a fancy mixer, I hope to bake more. These came out great which was definitely a confidence booster. 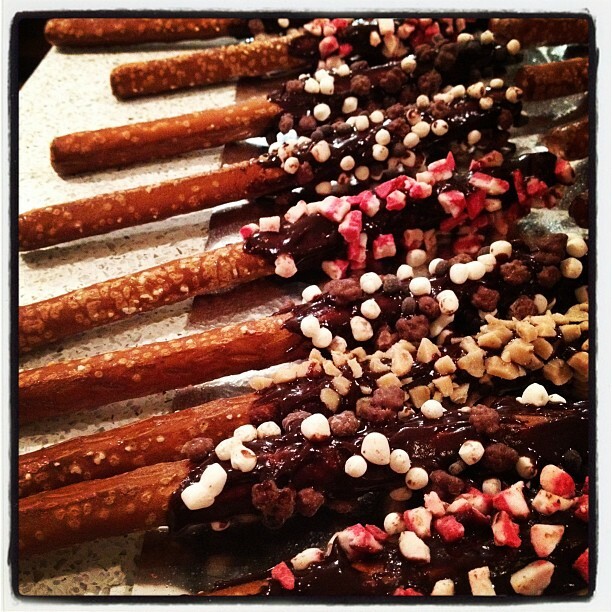 Also, you may recognize these from my Nosh guest blog post! 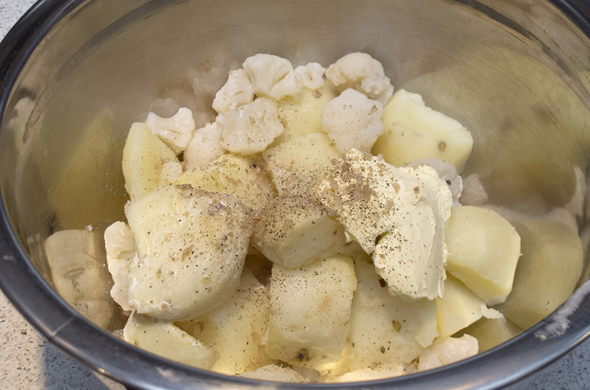 In the work bowl of a stand mixer fitted with the paddle attachment, beat together the butter and both sugars on low speed. Increase the speed to medium and beat until fluffy and smooth, about 3 minutes. Beat in the eggs one at a time. Add the vanilla dn beat until light and creamy, about 3 minutes. 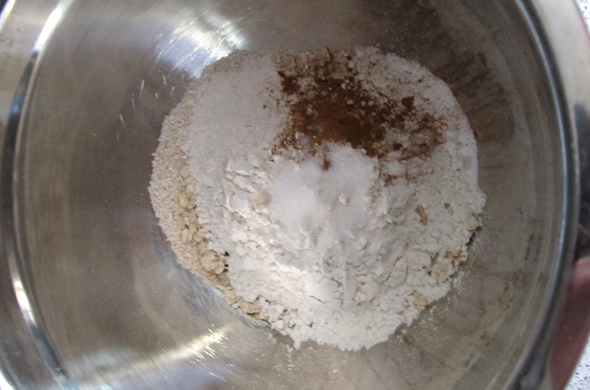 In a food processor or blender, process ¾ cup of the oatmeal until it resembles whole grain flour. 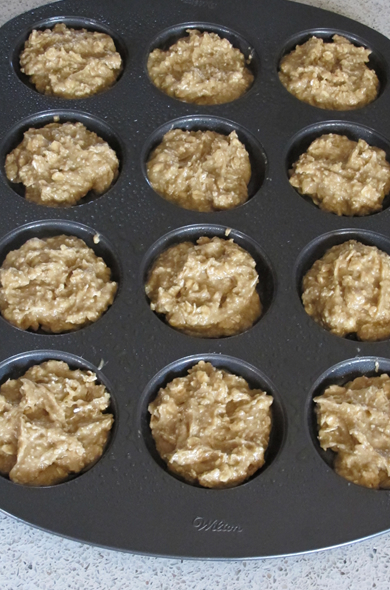 Transfer the ground oatmeal to a medium bowl and add the remaining oatmeal, flour, baking soda, cinnamon, and salt. 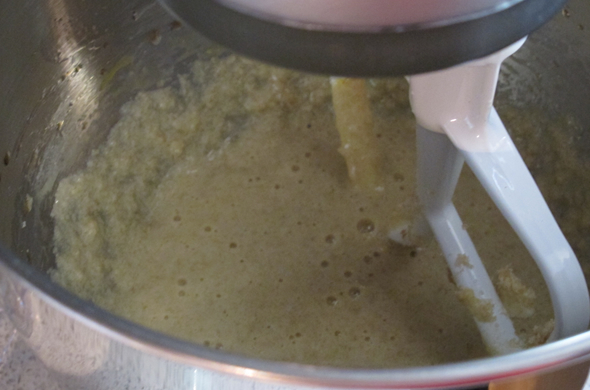 Add the oatmeal mixture to the butter-sugar mixture and beat on low speed until just combined. Using a spoon, drop about 1 tablespoon of batter onto one of the prepared baking sheets and repeat, spacing them at least 2 inches apart. 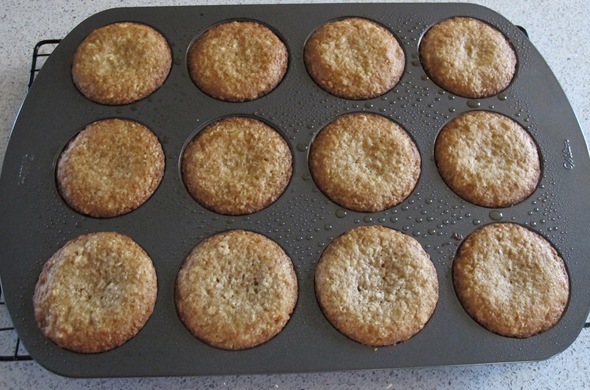 Bake one sheet at a time for about 11 minutes each or until the cookies begin to brown. Remove from the oven and let the cakes cool on the sheet for about 5 minutes before transferring them to a cooling rack to cool completely. Makes about 48 two-inch cakes. 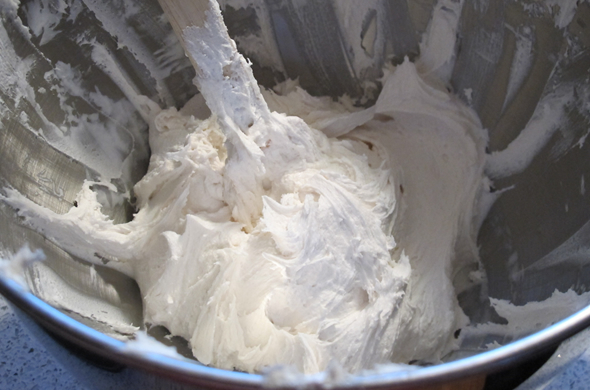 In the work bowl of a stand mixer fitted with the paddle attachment, beat together the Marshmallow Fluff and the vegetable shortening, starting on low and increasing to medium speed until the mixture is smooth and fluffy, about 3 minutes. Reduce mixer speed to low, and add the confectioners’ sugar and the vanilla, and beat until incorporated. Increase mixer speed to medium and beat until fluffy, about 3 minutes more. I was really proud of these and they were delicious. I might fill the whoopie pan a bit less next time because they were pretty large. Using the whoopie pan, I made 24 cakes, thus making 12 whoopie pies. The cookbook is cute. 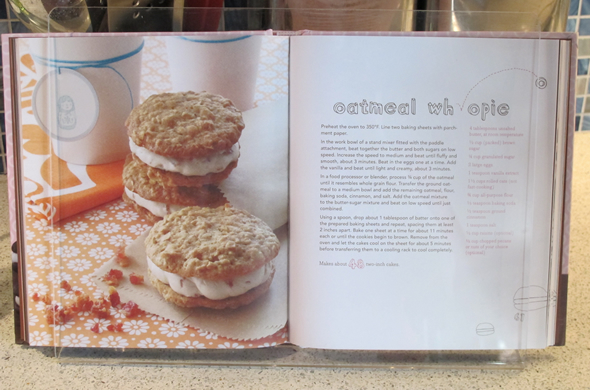 I liked that it was casual (makin’ whoopie, beating filling until you forget about it, etc). The pictures are great and there are some great combinations (bacon chive goat cheese filling or pistachio cardimum cakes, or mocha etc). I can give you a long list of my grievances in having to live in dorm conditions, from loud running and screaming in the middle of the night to my heightened mysophobia, but I feel the winner of the worst reason to live in a dorm is the lack of kitchen. I remember dorm shopping with my mother. I was excited to buy skillets and cutting boards, which is possibly a strange thing for a college bound guy to be excited about. Imagine the tears I shed when I found out that the kitchen was on the fourth floor. Nevertheless, I did try to cook tofu curry on the first week of school. It was a disaster to say the least, and successfully kept me away from that kitchen for the rest of the year. Fast forward to today, a few semesters later, and I am now living in an on-campus apartment. Sure, I still have to hear my loud peers in the parking lot during thirsty Thursdays, but at least I now have a kitchen to myself (and a roommate). Maybe I should have prefaced this post by saying that I have little to no culinary experience. My training has consisted of helping my Filipino mother cook dinner, experimenting with eggs, watching cooking shows on PBS and the Food Network, and drawing inspiration from religiously watching Top Chef. To say the least, I’m a scrappy cook. I’ll find and follow recipes and add my own little twists. 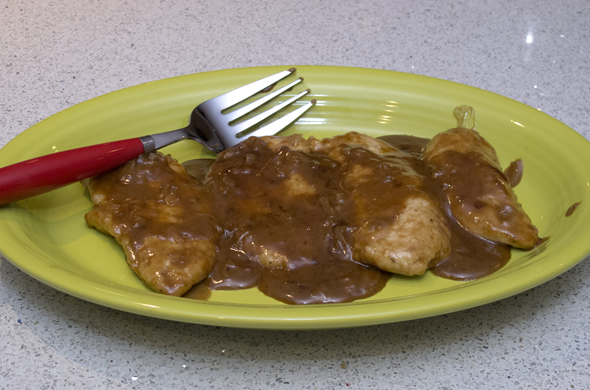 Starting from the beginning of this school year, I’ve tried my hand at mashed potatoes, chicken teriyaki tacos, mapo doufu, French toast with my very own egg bread, and chicken tikka masala among many other dishes. You can probably tell that I cook a lot of Asian inspired dishes. I think my proudest moment actually stemmed from having to salvage vegetables. Now, I’m stereotypical poor college student on a strict budget. Throwing away food does not make me happy in the least bit. This recipe is very simple. 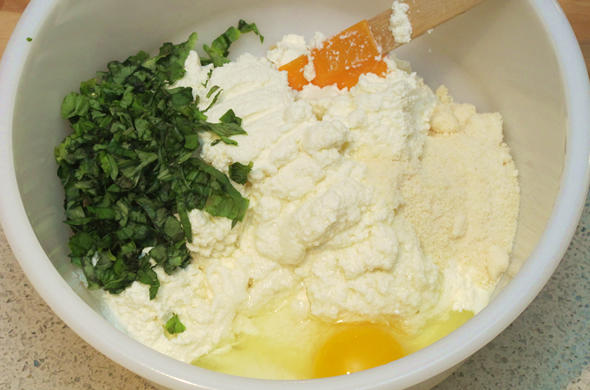 Just soften some cream cheese in room temperature, place it in a bowl and mix in all of your veggies nicely. 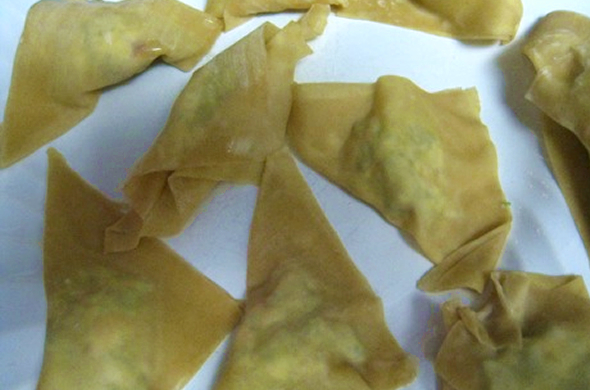 Now, there are many ways you can wrap the wonton wrapper. 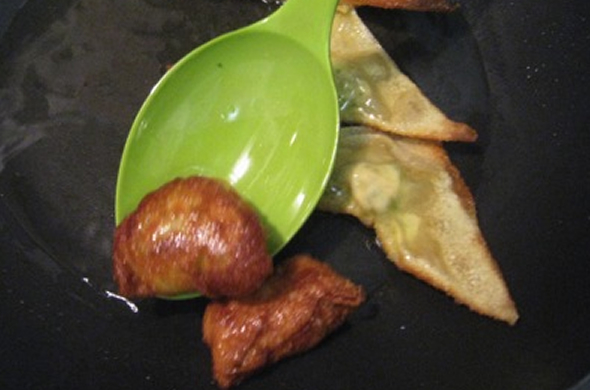 The best way is to put around a tablespoon of filling into your wanton wrapper, and fold it diagonally into a little triangle. Seal the wrapper with water. I don’t have a deep fryer, so instead I just put a considerable amount of cooking oil into my wok and fried it that way. Be afraid of getting hit by crackling oil- it really hurts! 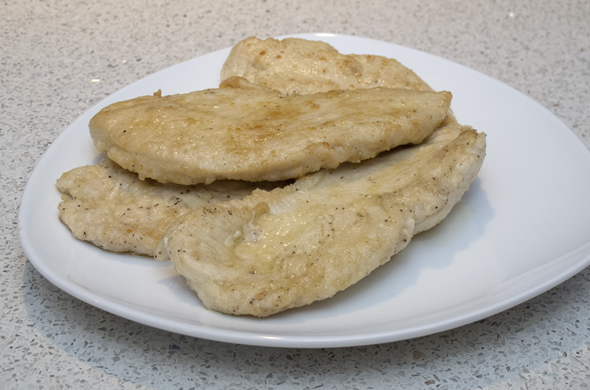 Once again, this is a really simple recipe and thing to make and my main point for making it was to salvage vegetables that were going to end up in the trash in a few days. Are there any other recipes that you make on the fly because you want to save certain ingredients? Let me know! Joseph Ver is an SEO intern at SpareFoot.com. He attends Saint Edward’s University in Austin, TX and, aside from cooking, loves watching reality shows (Top Chef, Project Runway, Survivor) and befriending various people on the bus. He also blogs when he actually remembers that he has one right here. Would you like to be a guest blogger? Email emily@thethreebiterule for more details! As you either know, or as you can tell, I’m pizza obsessed. I don’t always order it but I love it in all forms and I’ve messed around with it a lot. 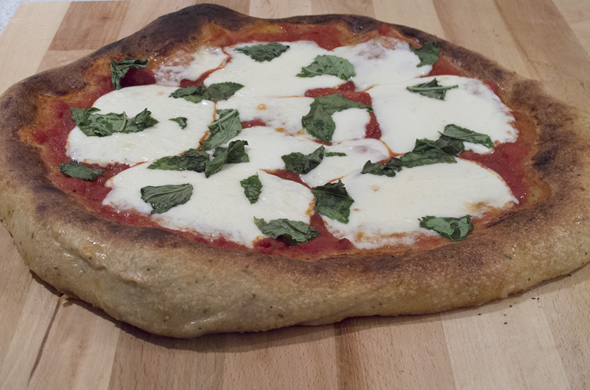 It is still a work in progress but as I was adjusting to my oven, you saw this pizza go wayyy too far in the oven. Here’s my latest, greatest, tip for crunchy crust at home. Prebake the dough a bit! 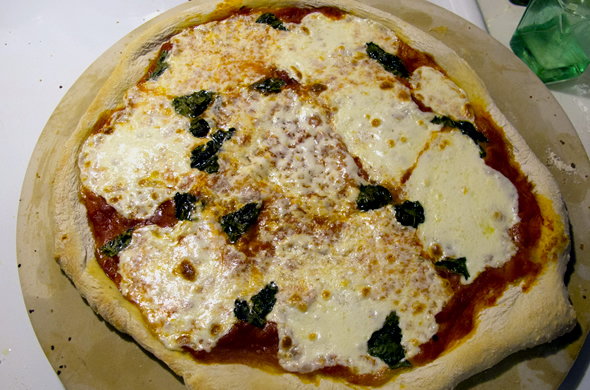 The crust didn’t crisp enough and the cheese was starting to basically disintegrate. Forget about the basil, that was toast…literally. So, my latest greatest technique proved itself and I was psyched. 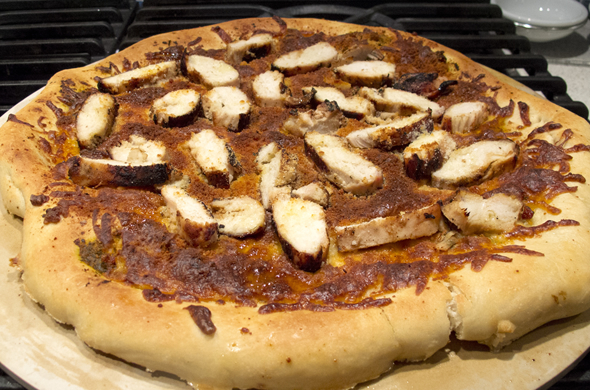 It probably needed a minute less to not look like the fake-n-bake bimbo of the pizza world. 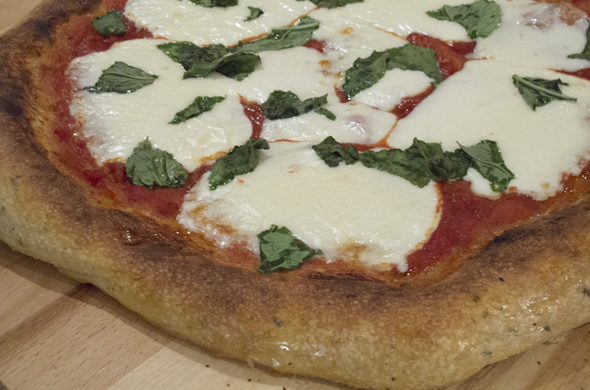 It might not be like the true neopolitan pizza of Naples, it is by far my latest success! I sure am thankful for this holiday today. My office’s Valentine’s Day potluck is burning a whole in my pocket! 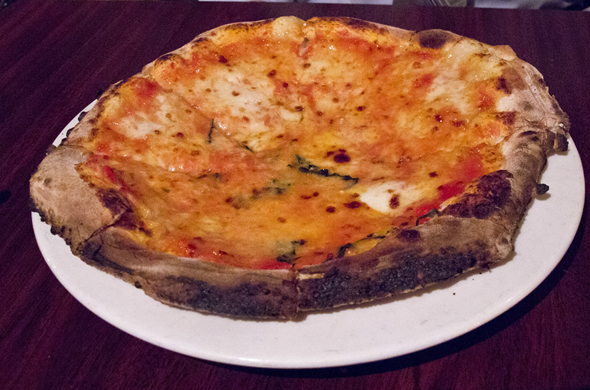 Antico Forno: this restaurant named for the “old stove” warmed my heart. I love the North End in Boston and I love improptu date nights even more! We had a deal gift certificate that was on the verge of expiring and it was such a treat to have such a fun dinner on a weeknight! Mr. J had heard their pizza was pretty authentically Neopolitan and ever since the honeymoon pizza he’s been as obsessed about pizza as I always have been! We started by sharing a salad. It was awesome and plenty to share. 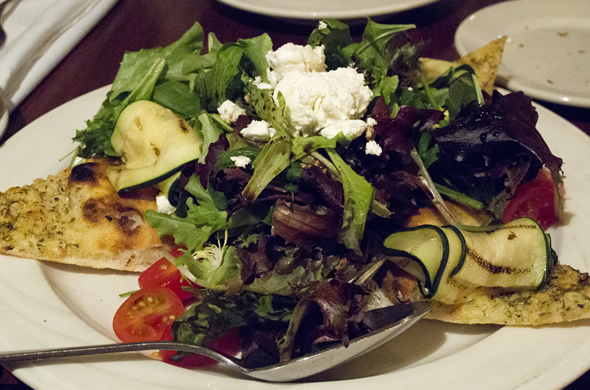 It had field greens, goat cheese, cherry tomatoes, grilled zucchini stuffed with goat cheese, and a crispy flat bread…kind of like flattened focaccia. I can take or leave goat cheese so I didn’t think the zucchini needed to be stuffed with it since it was crumbled on top too, but the salad was good. The zucchini was a great addition to make this salad a bit more special. Then we split 2 pizzas…and took a lot home. I blame the addicting flattened focaccia for filling us up. We got one margahrita. We had to compare it to pizzas of Italy. The other was called Vesuvio. 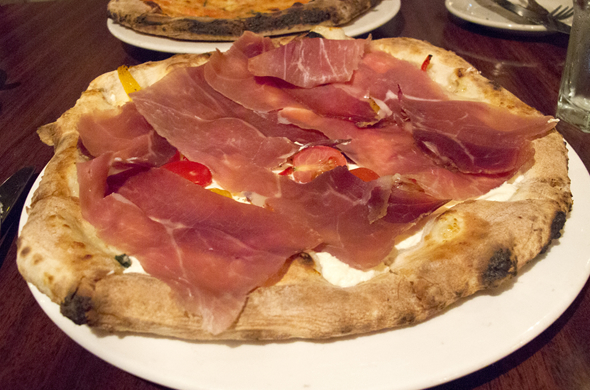 This pizza had homemade mozzarella, roasted peppers, ricotta, tomatoes, and sliced prosciutto. 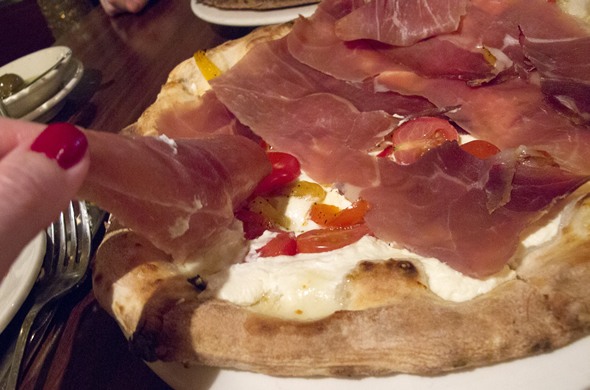 Check out the good stuff under this to-die-for-pizza. The ricotta was sweet and creamy. The prosciutto was perfectly salty and not tough at all. We ended the evening with a race to the train. Literally. We began realizing that since we had hurried over there, we were actually ending the meal basically in time for the earlier train. The later train would mean we needed to kill some time with a drink or whatever. Somehow we made it. We ran outside to cross the street and enthusiastically hailed a cab. Theoretically we shouldn’t have made it in time but the red lights our cab ran through became a blur and we were on our train home. Whew. My sis was coming over for dinner and I was trying to think what would be a good idea for her first meal from my new kitchen. 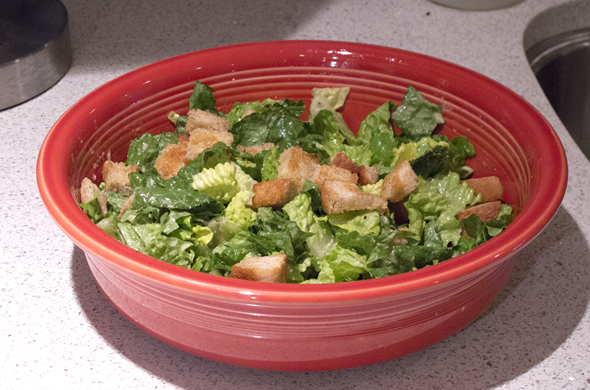 I thought of her love of chicken Caesar salad and decided to tweak it a bit. I made it into a pizza! It didn’t come out perfectly but I’m still getting acclimated to my new oven. It went from not done to quite crispy in just a minute. I made the Caesar dressing earlier in the day and marinated chicken breast pieces in some dressing. 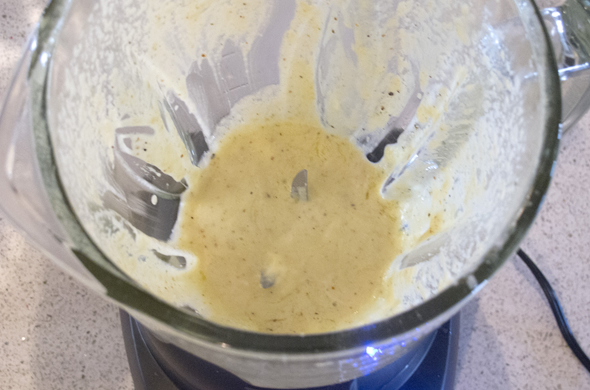 Combine garlic, mustard, vinegar, and mayo in a blender. Slowly stream in olive oil and lemon juice until blended completely. 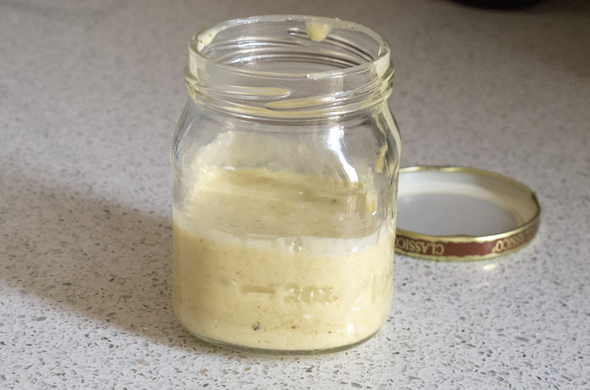 Transfer to a jar and mix in pepper and cheese by hand. 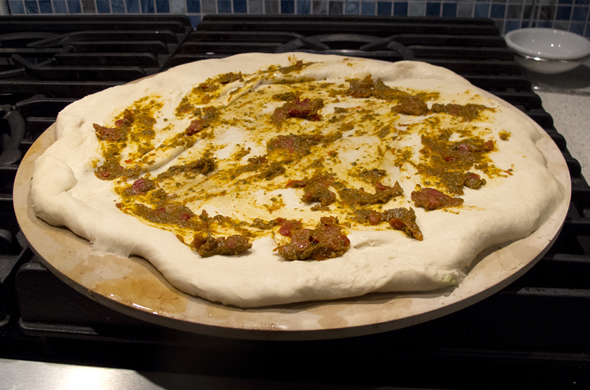 Stretch pizza dough out onto a greased and floured baking pan or pizza stone and top with pesto (I used sundried tomato pesto). 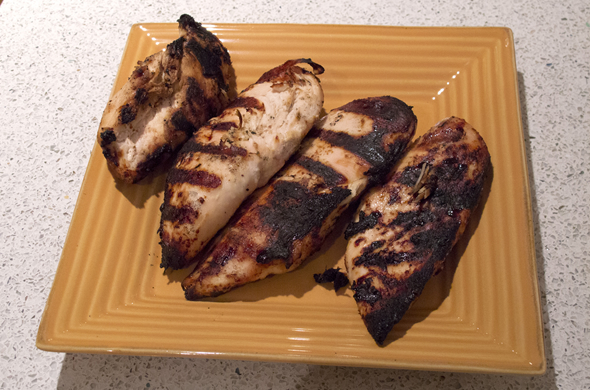 Add mozzarella and grilled chicken slices. 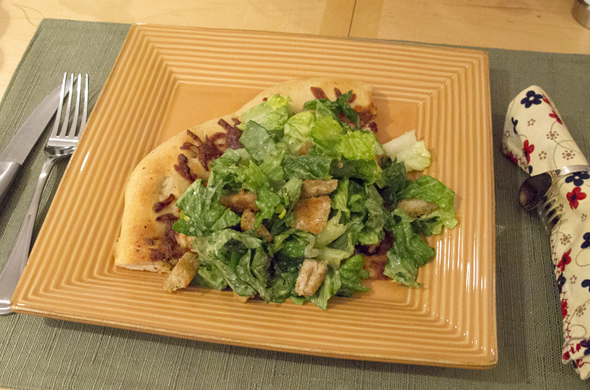 While pizza is baking, chop romaine and toss with dressing. Allow pizza to cool for a minute or two and top each slice with lettuce mix. I drizzled some dressing over the pizza since mine was overdone (and pretty dried out) before adding the lettuce. 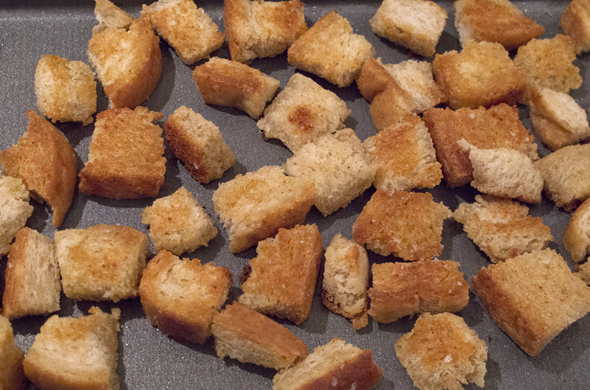 I made some croutons just for fun by just toasting some bread cubes with olive oil and some seasonings. Overall, it was good and I’d probably make it again. I have since tried an alternative pizza technique to ensure I get the crust crispy without massacring everything else. Stay tuned for that one and just wait till you see what our office Valentine’s Day Potluck was! Have I mentioned I hate to grocery shop? I know, most people don’t mind it. It’s a stumbling block since I love to cook. I think it’s moreso that I don’t like how much money it is. I used to grumble since afterwards I then had to carry it up three flights…now there are no stairs involved. Also, it made me so sad to see really little kids there with their parents when I’d go super late (like 10 o’clock, past their bedtime). My previous grocery store was always crowded. I now shop at the world’s largest grocery store. I cannot believe how big it is and it isn’t ever crowded. I might be coming around. This dinner was a 1 pot meal with what I had around in an effort to use a few things up AND to avoid shopping just one more day. 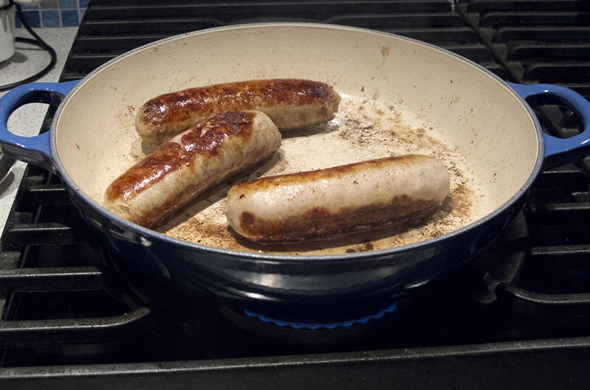 In a dutch oven, brown sausage until cooked most of the way through and then remove it from the pan. When cooled a bit, slice into disks. 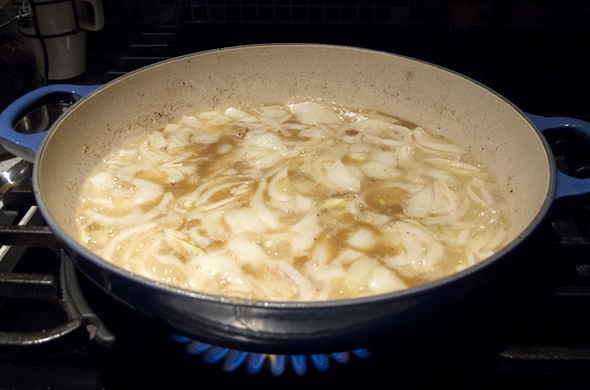 Stir in broth and scrape any browned bits off the bottom. Cook for 5 minutes on medium. Add onions and butter until translucent. 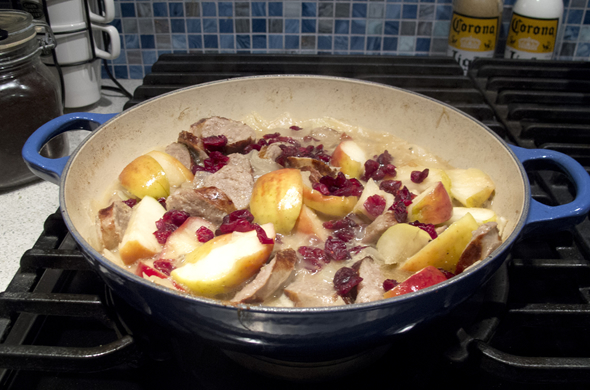 Add in apple, sliced sausage pieces, and cranberries. Cover and cook for 7 minutes more (or until sausage cooks the rest of the way through and the cranberries have rehydrated). This was so good, so easy, and had really minimal clean up! Win, win, win! I served this over some rice and steamed some broccoli on the side. 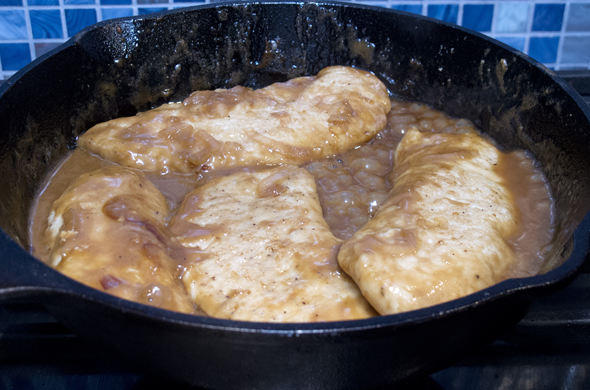 I decided to thicken it a little bit with a cornstarch slurry but it is good the way it is. 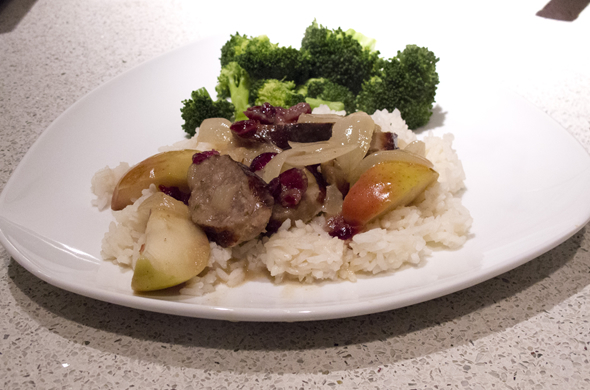 You could easily do most of the prep without the apple and cranberries the night before for a reallllly quick dinner. 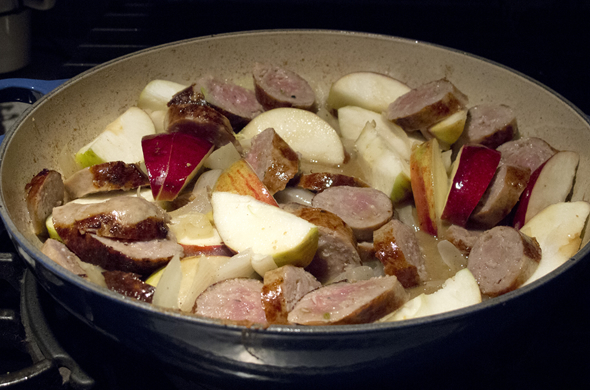 I wish I had given the apples less cooking time but they were a different texture than the sausage anyway. I loved the cranberries in there. How good would it be over wild rice? I plan meals ahead of time, I bring a list. What will make me enjoy it more. Maybe I should get to pick out a treat each time (as in a random ingredient to play with)! 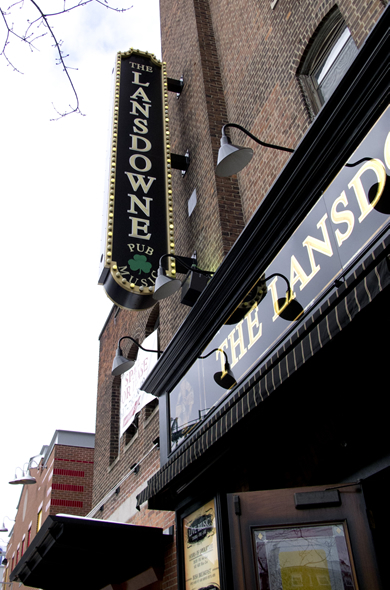 What seems like forever ago, I went to a brunch hosted by the Boston Brunchers at Landsdowne Pub. I left in a food coma so maybe that’s what’s taken me so long to post this! Hope this brunch is just in time for the weekend. I arrived and was warmly welcomed as other attendees showed up. We had already perused the menu but began by ordering drinks. I had a coffee and a liquid caramel coffee that was delectable. 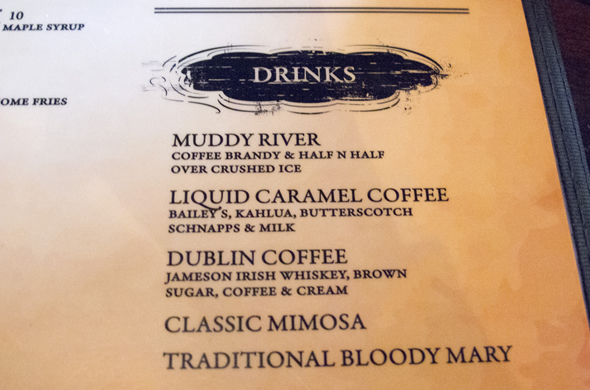 Their breakfast menu had a good assortment of traditional brunch items…many of which had an Irish twist. The buttermilk pancakes with strawberries and Bailey’s whipped cream caught my eye. I think it was the booze in the whipped cream that had me at hello. 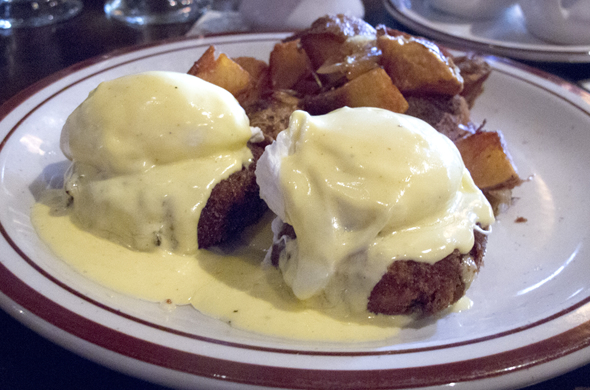 I went with the crabcake benedict. It was so good and I was really glad I got something I wouldn’t be making at home. The crabcake was flavorful with big crab chunks- not completely filler. 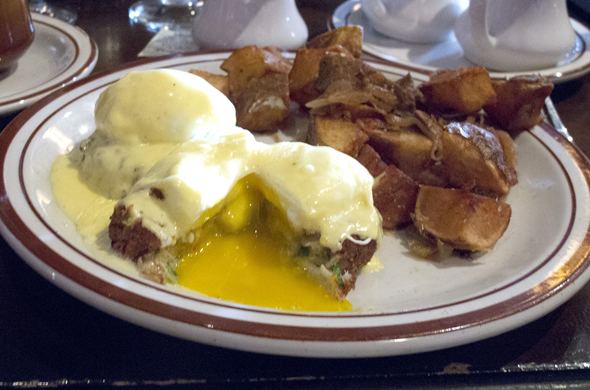 I might have liked the hollandaise to be more lemony but it was good, and rich. The eggs were cooked perfectly! 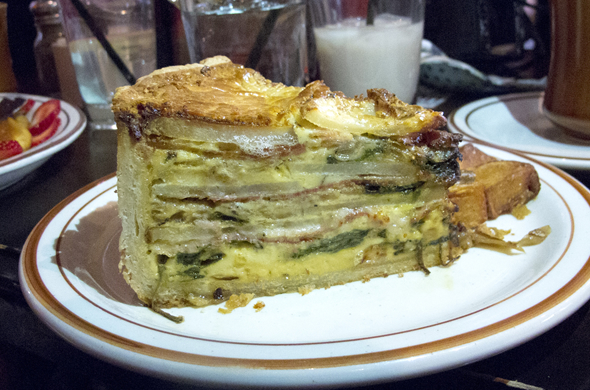 A few folks at the table got the Lansdowne Pie (Irish Ham, eggs, potatoes, spinach onions and cheddar served w/ home fries). It looked even better than it sounded. It was piled high and stayed together. Yum. One of the best moments for me, besides the fun conversations, was that when the food arrived everyone at the table started snapping photos. There were no “pardon-while-I-reach-over-your-food-to-take-a-picture” moments. Everyone snapped away. There were even iphones for additional light. It was ahhhhmazing. Our server was a gem. Serving a group is never easy, especially since we ordered drinks every time she came back to check on us. What a trooper. There was live music and they were ready to serve the crowds. 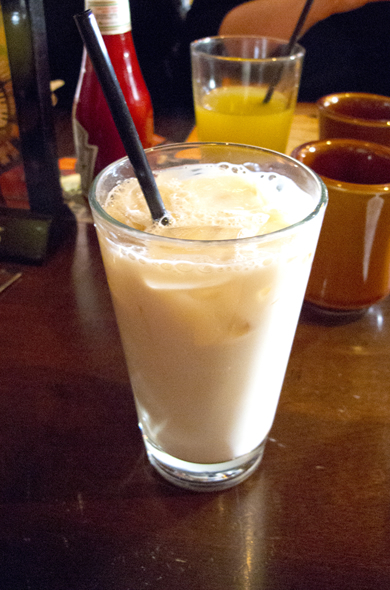 I wouldn’t think of Fenway as an area to head to for brunch, but if you’re in that ‘hood, you should! 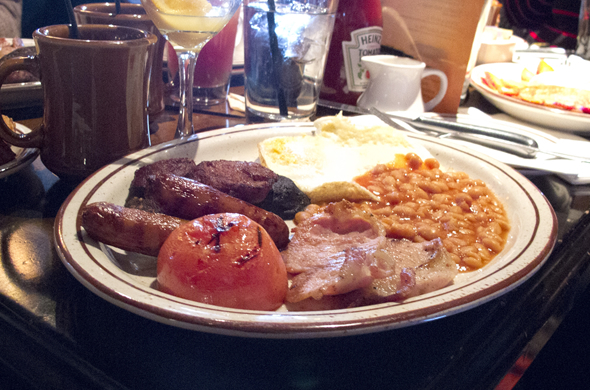 Full 3 Bite Rule Disclosure: Brunch was completely complimentary but my thoughts, opinions, and words are entirely my own.